You’re thinking where to store business documents onlineve and you’ve heard about cloud storage. You understand that it isn’t some odd, imaginary place called the ethernet, that it is really someone somewhere with a physical hard-drive storage that is taking care of files for other people – in fact, they are likely to have many hard-drives in a variety of places to make sure that all the files are backed up properly and are unlikely to be lost because of fire, flood, or vandalism. Cloud storage is an excellent plan for backing up your business files, or even to use as your primary transaction. Not only are your records unaffected by local events, they are available anywhere there is a Wi-Fi hotspot if you have a device that can make the connection. Cloud storage makes collaboration with team members from around the world not only feasible but truly easy. 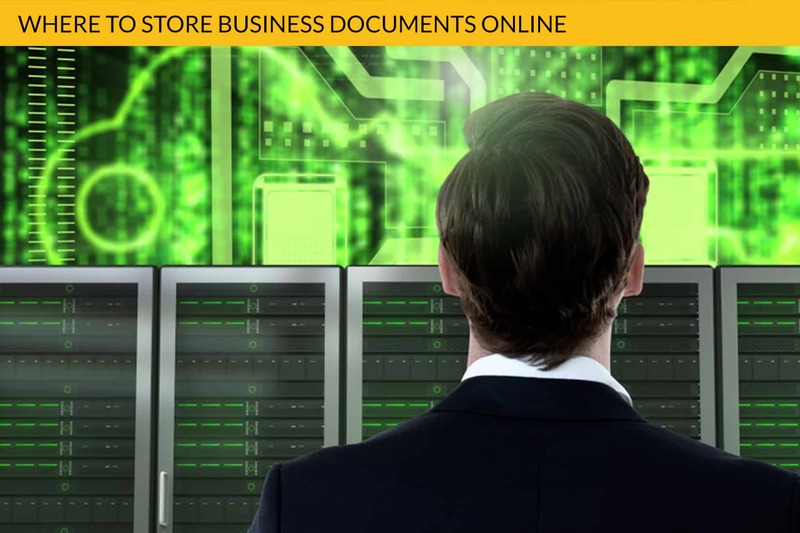 There are a lot of different companies offering storage for business documents online. If you are new to the business world and need someplace quick, you might want to go for the free services – but keep in mind that old thing about how a thing is often worth what you pay for it. That is not to say that all free services are bad; in fact, some of them are really good – because they are hoping you will like the product well enough to sign up for the full membership. Google Docs is free for personal use and not that expensive for business use as well. They have other financial irons in the fire and can afford to give you a storage space for your documents online. In fact, they are hoping that you will use their facilities because it enriches their environment. They are a good place to collaborate on a document or project, especially if you are a student or are just starting out with your business. However, it can sometimes be difficult to extract documents from Google Docs, especially if you want to retain the formatting. Finding the information you need at a later date can be a bit of a challenge as Google Docs does not support metadata, it also lacks reminders and file linking. Dropbox is a good example of an online storage and document exchange with a “free” option for beginners and a paid option for businesses. It has been around for a long time and can be counted on to be pretty stable and reasonably secure. If you are new to the world of digital document exchange, and online collaboration, their free account is often just right. It is, however, limited in the amount of material you can store there and in transaction behavior. Dropbox is primarily for storing and exchanging information and does not incorporate business software. It does document storage very well, but lacks many of the important DMS features, like option to add metadata, use OCR content search from scanned document images, no reminders, no way to associate documents that belong together and aren’t in the same folder etc. Folderit is not free, but you can test drive it for thirty days to see if you will like it. Folderit resembles Dropbox in that it uses folders to store your information, but that is where the resemblance stops. Folderit allows you to describe the information using metadata and add costom metadata fields. And to incorporate tags so that you can easily locate your saved files, or even look for information within files (OCR search). 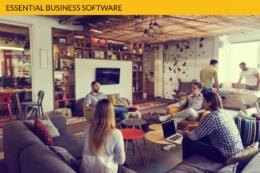 Furthermore, it includes many collaborative features, reminders, document (invoice) approval workflows, and more. Different time zones? No problem. Just use the document tracking/audit log functionality provided by Folderit, and you can easily tell who has seen an important paper, and who has not. It has amazing tools for collaboration, finding information across folders, and generally making life a little easier for you. When it comes to getting what you need to run your business, store your files, and to be able to access them later, you can count on Folderit. These are only three of the many options available to you for where to store business documents online. Our vote is for Folderit of course. Considering it offers the most features and is already cheaper than the much more limited offerings from others if you have at least 3 team members / collaborators, it’s an easy win. It just might be the most efficient, secure location for your information because they use advanced file encryption and they back up all information three times – just to be sure that it is backed up. Recently it was voted as the most user-friendly document management system in the world – and that is saying a lot.